c.1950's. 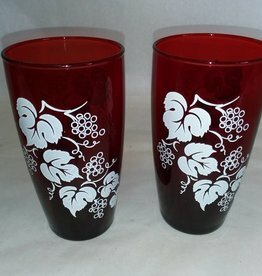 Pair of ruby red water glasses. Grape vines painted in white on 1 pair or birds in flight painted in white on 2nd pair.